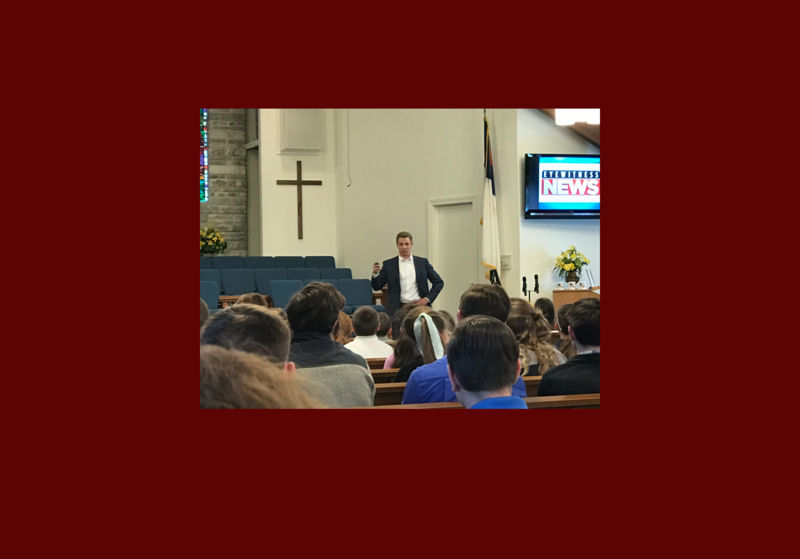 Canaan Christian Academy was pleased to have Meteorologist Stefano DiPietro from WBRE at school on Tuesday, April 16. He spoke to the entire student body and shared what a meteorologist does and how much schooling is required to become a meteorologist. He also shared much about the weather – how it forms and the effects from different types of weather. He told the students about the five tornados that were in our area just the weekend before. He also talked about what to do in case of severe weather. The students were able to ask questions and respond to his questions as well. The students thoroughly enjoyed their time with him. SAT - Jrs. & Srs.